In many ways, Meerut, about 70 km from Delhi, is looking at a commonplace Uttar Pradesh election. There’s yet no wave discernible for Prime Minister Narendra Modi, even as it was from this city that he kicked off his campaign on March 28, with the famous exhortation to vote against the “SaRaBa” — the acronym he coined for the “gathbandhan” (alliance) of the Samajwadi Party (SP), the Rashtriya Lok Dal (RLD) and the Bahujan Samaj Party (BSP). 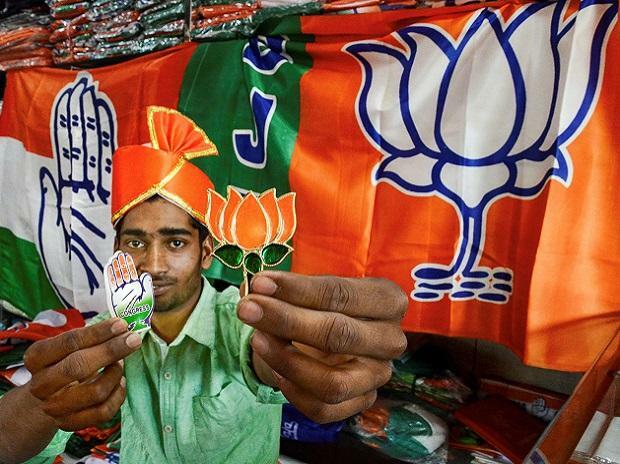 The city, which votes in the first phase on April 11, does not look like a “Hindutvawaadi” election town that typically brings various castes under a saffron marquee. Only the committed Bharatiya Janata Party (BJP) voters appear to be fired by the “nationalist” euphoria that has purportedly enveloped India after the Indian Air Force strike in Pakistan. There lies the rub. The BJP has a few reasons to worry. In 2014, its incumbent member of Parliament, Rajendra Agarwal, had won this seat by close to 250,000 votes against the BSP’s Mohammad Shahid Akhlak, bringing up his tally by 185,180 votes since 2009. Dalits constitute between 300,000 and 350,000 voters in this 1.8-million strong electorate, with Jatavs comprising the largest sub-caste. “Agarwal’s victory would not have been possible without a large chunk of our votes going to him. Yes, 60 per cent or more Dalits voted for the BJP because there was a Modi wave. Modi promised to deposit Rs 15 lakh in each bank account,” says Sushil Kumar, a Jatav and the “pradhan” of Kayastha-Gaondi village. Haji Mohammad Yaqoob, a Meerut meat exporter, is Mayawati’s and the “gathbandhan’s” candidate. In normal circumstances, the BJP and the Rashtriya Swayamsevak Sangh (RSS) might have sent a decibel meter zooming giddily with a campaign against the perils of a “pink revolution” set off by this meat trader. Barring sections of Jats and the BJP’s core voters, Yaqoob’s antecedents have not become a big talking point. He once infamously announced a bounty for the heads of cartoonists he thought were “disrespectful” towards Islam and the Prophet, but few remember. What matters to the Opposition alliance are the numbers: the 550,000 Muslim votes, coupled with those of Dalits — assuming there is no major breach — piles up sufficiently to turn the contest into a close fight. “I hope it becomes a Hindu-Muslim election, but I can’t say anything for sure,” acknowledges Sanjay Sharma, the general secretary of a BJP-aligned trader association. Rajkumar, who was the “pradhan” of Kayastha-Gaondi before it was reserved for the scheduled castes, is a Jat rooting for the “gathbandhan”. “I don’t have problems with voting for a Muslim candidate. I am aware that not a single Muslim will vote for the BJP, but Hindus will vote for Yaqoob. I am looking at Ajit Singh (the RLD chief), as it is a fact that I have to co-exist with the Muslims of my village from whom we buy our daily vegetables,” says Rajkumar. The arrival of Harendra Agarwal as the Congress nominee has somewhat disoriented the BJP. “We cannot figure out the Congress’ strategy. It has come as a vote-cutter and wants to take away our Vaish community votes,” says Ravish Agarwal, who heads the BJP’s Meerut social media cell. Harendra came with little other than a political inheritance. He is the son of Babu Banarasi Das, who was the UP CM for a year from 1979 to 1980, and the elder brother of the late Akhilesh Das, who was a Rajya Sabha MP from the BSP. “Harendra has his votes because he’s a good man,” says Bharat Bhushan, an environmentalist and a BJP sympathiser. In contrast, even BJP sources admit that their own MP is “inaccessible” and “indifferent” to workers. “There’s anti-incumbency against him. We hope the Modi ‘mantra’ will be a counter,” says one. To retain the Vaish votes as the solid block it used to be, the BJP has launched a propaganda offensive that raises the points that the “Congress, SP and BSP betrayed the traders and the BJP alone was loyal”. It took a BJP government to reserve 10 per cent seats in education and jobs for upper castes (classified as the economically weaker sections in the statute) and bring demonetisation to “fix” tax evaders and hoarders, and GST as a “convenient fusion tax” that simplified book keeping, according to Vineet Sharda, the president of the national Vaish “samaj”. Like Bhushan, he is aligned with the BJP. Sharda counts Modi and Amit Shah, the BJP president, as “star representatives” of the Vaish community and, therefore, a positive factor. “Modiji is included among the backward castes but the sub-caste he belongs to comprises largely of small and medium traders. He’s one of us,” emphasises Sharda. To spirit away the Jats, the SP has tasked Amir Alam and Inam, its Meerut leaders, to coordinate with the RLD and put its area influence-wielders on the assignment before the election assumes a communal colour.